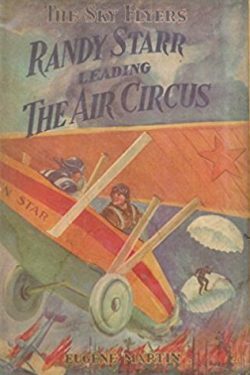 Created by the Stratemeyer Syndicate and issued under their house name Eugene Martin from 1931 to 1932, Randy Starr (AKA The Sky Flyers) is a three volume series of aviation adventure tales for boys. A fourth volume was announced but never published. 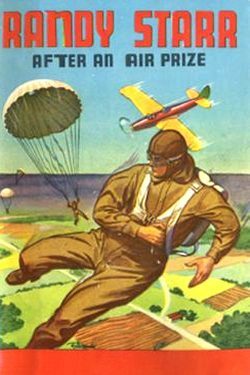 Initially published by Henry Altemus Co., the series was later reprinted in cheap editions by Saalfield Publishing Co.
"An aviator, with correct and detailed knowledge of sky craft, and a fine writer, who knows what boys like - such an author is Mr. Eugene Martin. Readers of the Randy Starr books will become acquianted with a hero who yearns for what nearly every American boy does - a pilot's license. How he works for this, how he tries to win an airplane, and how he becomes involved with many adventures, form the subject matter of these stories. 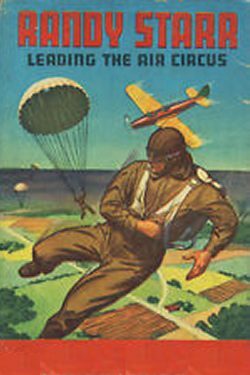 At the same time any "air minded" lad may acquire an intimate knowledge of the art of flying, and the hopes and fears of the present day aviator." Red cloth binding, black lettering on spine, orange outlined in black on front. Illustrations: frontispiece ad 3 internals on coated paper. Dust Jacket: White coated paper with color artwork. Different for each book. Dust Jacket: White coated paper with color artwork. Same for each book. The story of a prize race from Maine to Miami. Craft rivals interfere. 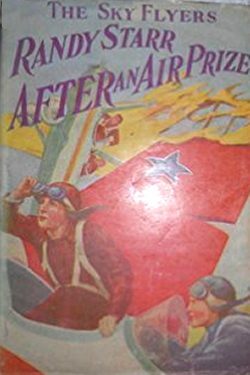 The reader holds his breath as the planes are wing and wing, and the prize is just in sight. 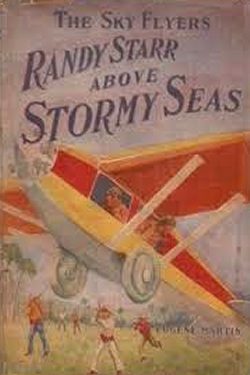 Randy and his chum render a Spanish mine owner a great service, and, in order to outwit enemies, encounter great perils over stormy seas.